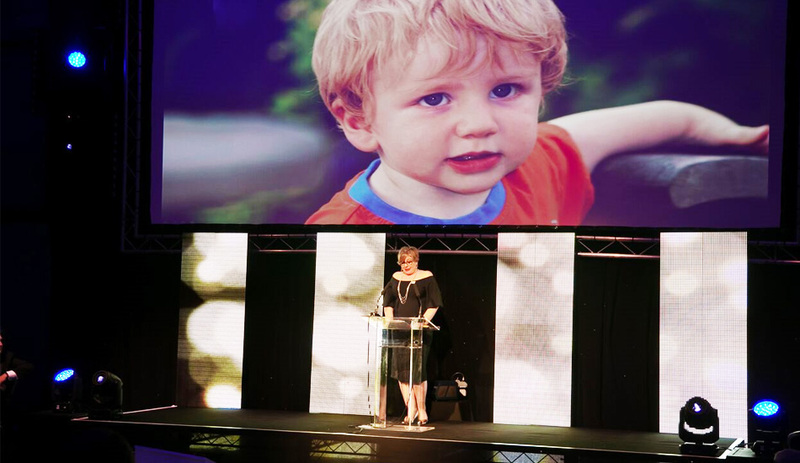 A mother who we support, delivered a speech about her son at the Co-op Property Awards at Lancashire Cricket Club, helping to raise over £95,000. Clare’s family began receiving support from Rainbow Trust after her son was diagnosed with cancer. Clare’s stirring speech gave a very personal account of her family’s journey and the help that Rainbow Trust were able to give them, from diagnosis through recovery. “The emotional support offered by Rainbow Trust has had an incredible impact on all our lives, not only through their visits, but also being at the end of the phone and just being confident that there is someone who can help if we need it,” she told the audience. Clare’s speech included glowing individual praise for her Rainbow Trust Family Support Workers who helped her family to cope. “When Sean and Callie came into our lives, the difference it made was instant, to all of us,” she said. Rainbow Trust were chosen by Co-op Property to be a beneficiary of their awards and charity event - there were over 600 people in attendance at the evening, which was hosted by football legend John Barnes.